The Paper Layer is a special layer that is used to edit a paper texture. Click here to select the Paper Layer. Don't be alarmed the Paper layer appears here and is supposed to be active (visitble with the eye icon). But visible only in the sense that the layer data is used during painting. This shows some paint strokes with the paper texture that was previously set. Shown here the Paper Layer is on. In the main Layer panel the Paper Layer will also be shown as selected. 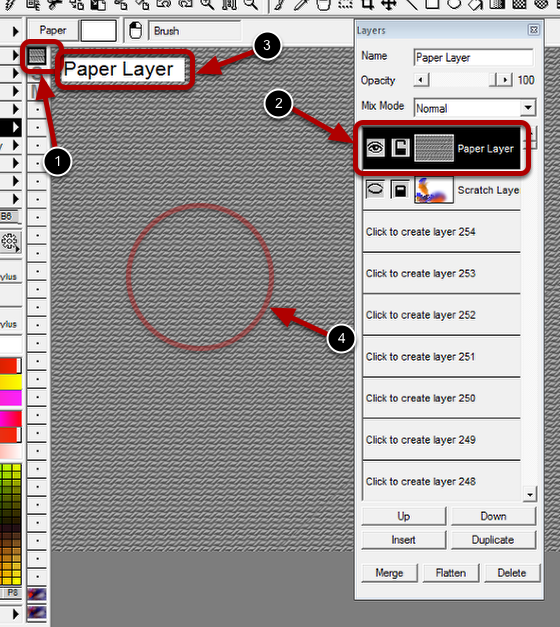 The label "Paper Layer" is shown as a reminder that the Paper Layer is selected. 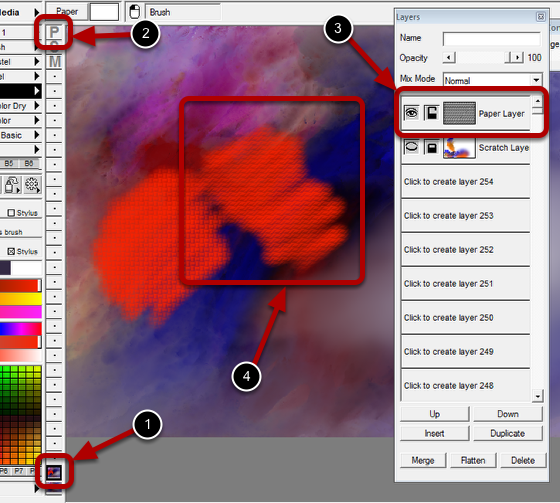 Brushes, tools and filters can be used to edit the paper texture. Shown here is a Tilt filter was applied to a started previously selected paper texture. 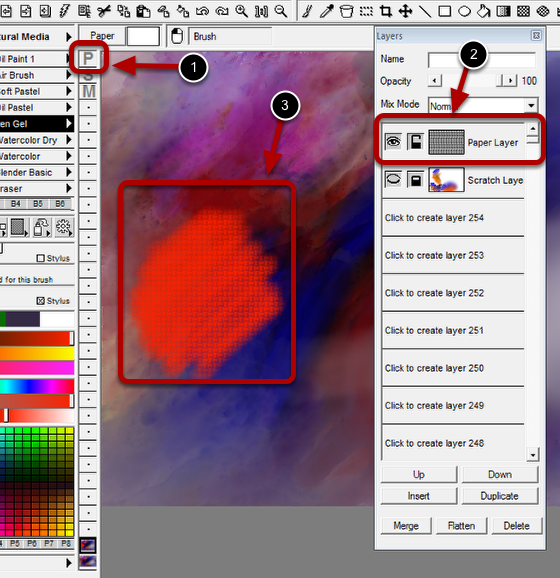 Click on a working layer to exit the Paper Layer. Notice the Layer Mini bar Paper Layer icon is back to unselected. Also notice the Paper Layer on the Layer panel is back to unselected. Here additional paint strokes were applied after exiting the Paper Layer to show that now the Tilted paper texture is giving a different texture.